A view to inspire you and a video to thank you! A Soaring View and Sincere Thank You! This Friday, we are happy to share the news that we met our $25,000 goal for the 2019 Golf Cart Campaign. Thanks to many generous donors, we have the funds to purchase 10 gently used golf carts to replace one-third of our fleet. These carts are coming off of their initial lease from a golf course and are in excellent shape. We will be taking delivery in the very near future and will let you know when they arrive! And, thanks to some creative thinking and generous spirit, we also have leads on future carts and one donated cart that we are picking up tomorrow from a wonderful individual donor in Florida. Our supporters are the best! These carts help cover the ground we need to reach the chimps. And it’s a lot of ground to cover! Want to see for yourself? 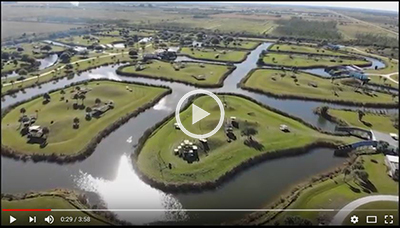 Enjoy this unique “bird’s eye view” of the Save the Chimps’ sanctuary! From all of us at Save the Chimps, and from the nearly 250 chimpanzees who are living out their lives here in comfort and dignity, thank you. We truly appreciate your kindness, generosity, and continued support. 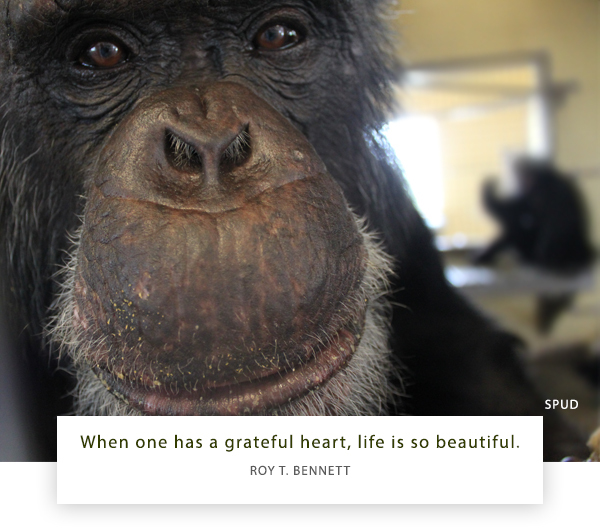 Thank you for improving the lives of the chimps…and their caregivers! *You can also cover this ground and see the tremendous view firsthand during our 2019 Chimpathon. There is still time to register!